Information about most recent residential versus commercial land use for Houston, preferably in a shapefile that can be aggregated to tract level. 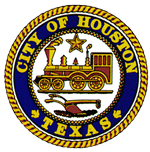 Please provide a list with water disconnect for city of Houston since Jan 2019 - Mar 2019. Thank you!